Whenever I listen to those same songs now, I’m immediately recalled to what I was thinking at the time, how I felt, and my hopes and fears and fantasies. My life musicians are the singers of whom I’ve always, it seems, been a fan, and expect I always will be. 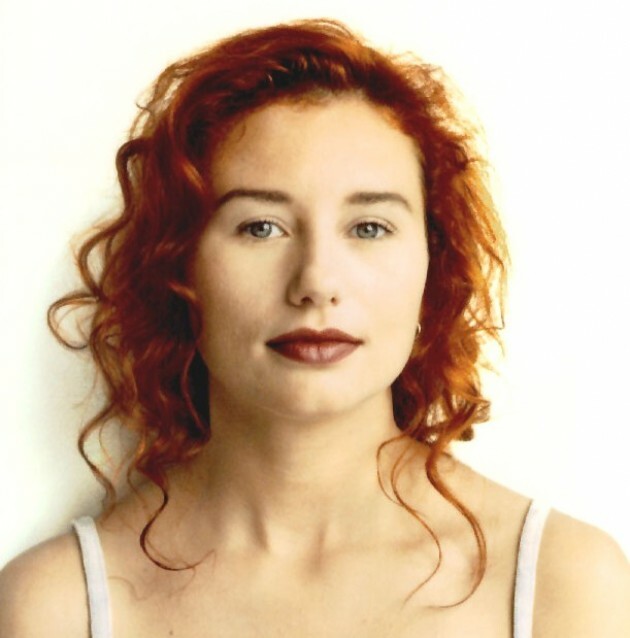 Tori Amos, from early in her career. Their new albums are always auto-buys for me, often without my even listening to samples or singles for the purpose of a complete listen all at once so I can prolong and savour the experience. Even if one of their albums isn’t exactly to my taste – if it’s a little too much of a deviation from their usual sound, or too experimental, or too much of the same, or just not what I was needing to hear at that particularly time in my life – I can always find something to like about it. And even though those particular albums may remain my least-played of them all, I still auto-buy the next release because my life musicians have earned my loyalty. They earned it by writing songs about me. Obviously Linkin Park and Tori Amos haven’t actually written songs about me. But in some ways, they kinda have. Linkin Park, for example, is among the hardest musical sounds I listen to (and their latest album, which was released earlier this month, is very hard indeed). My love for their music always comes as a shock to those who know me and the rest of my musical tastes. But I’ve always found personal meaning in Linkin Park’s music – they’ve always managed to sing to my personal issues as if they somehow knew – as far back as my early 20s. I still remember the night I watched the video for their 2000 debut single, “In the End”, on the Much Music Top 20 Countdown. It was unlike any type of music I’d ever listened to before; it literally sang to me. That song was actually one of the more mellow tracks on their debut album, Hybrid Theory; most of the others were a lot harder, with power guitar riffs, guttural screaming, and aggressive lyrics, although they also all had rhythmic rapping, alt-rock singing, and an overall consideration for musicality and experimentation with sound that put them above your typical rock-metal act. I was an angry, angsty kid in my 20s, so I found such Linkin Park lyrics as “Shut when I’m talking to you!”, “I took what I hated and made it a part of me”, and “I wanna find something I’ve wanted all along, somewhere I belong” very relatable. Their first two albums were very much in that vein, and I was very much like that right along with them. For their third, fourth, and fifth albums, though, their sound and song themes, while still hard, started to change (to the ongoing chagrin of many fans of their first two albums). These releases were noticeably softer with less screaming, more singing, fewer hard riffs, more electronic sounds, and even, in some of their remixes, a bit of dub step. There are still hints of this evolution among their über-hard sixth album. That is to say, their sound has grown up, and so have I right along with them. I’m no longer a pissed-off 20-year-old but a 30-something who is sad and scared about the current state of the world. I can’t wait to see where their continued evolution – and mine – will take me next. I will write about my second life musician – the amazing Tori Amos – after I see her in concert for the second time on July 16.
Who are your life musicians? How did you first discover their music? What memories does their music conjure in your mind? Tell me about it in the comments. This entry was posted in Music and tagged Alternative metal, Inspiration, Life musicians, Life soundtrack, Linkin Park, Memories, Real life, Tori Amos. Bookmark the permalink. I think I would need to write a full post to answer this in it’s entirety. I do recall the first 45 record I purchased…yes, I am that old. it was ‘True Grit’ by Glen Campbell. I purchased it after seeing the movie by the same name. My first 33 LP was Don Mclean’s, ‘American Pie’. From my formative years the artists who truly seemed to write music that touched the very core of my being was Elton John and John Lennon. I grew up with Michael Jackson. We were both born the same year. I’ve always loved his music. The Eagles, Heart, Marvin Gaye, Kenny Loggins, Smokey Robinson, Main Ingredient, Bob Marley, Chigaco, Janis Joplin, Yvonne Elliman, David Bowie, The Who, Billy Joel and a funny little mexican fella named Freddy Fender inhabited my early 20’s. Later part of my 20’s and into my 30’s Robby Robertson, Cory Hart, Roch Voisine, and Daniel Levoi lent some depth to what I was listening to. When Jann Arden hit the charts, I fell in love with her voice and her soulful melodies. Of all the musicians that I’ve listed, however, certain songs by Elton or Lennon transport me. I remember the first CD I bought; someday, that will age me too (to the young’uns, it already does!) It was Caribbean Blue by Enya. My first cassette tape was She’s So Unusual by Cyndi Lauper. You’ve listed some great artists here, although some I am more familiar with than others. I was particularly excited to see you mention Corey Hart and Roch Voisine – our good Canadian boys. I grew up listening to Corey Hart on an old world band radio. My older sister was a big fan of Michael Jackson (she had a poster of him in her bedroom), so I was first introduced to him through her. Two of my favourite Elton John songs are “Rocket Man” (which I taught myself to play on the guitar) and “Can You Feel the Love Tonight” (from The Lion King). This post is very you. I guess they all are, huh? I wish I could say I had a specific artist who wrote the soundtrack for my life. Somebody asked me this once before, but I don’t recall my answer. This response does not mean that I am only a casual music listener. Hardly. I have memorized every note and every lyric of hundreds of albums by dozens of artists. I passionately love at least 20 musical acts and the musicians who comprise them. No point naming them because they won’t resonate with anyone. To me, its certain songs that recall exact moments more so than artists who connected with me over and over. I’m surprised, Eric – I was sure you of all people would have one, just because I know you’re so into music and even used to work in a music store. But I guess that right there is the answer: you’re so music and there’s so much of it to love. A little something for everyone, for every occasion, anytime. All right. So there’s no artist who wrote the soundtrack for my life, but if there’s one artist who music is a sonic representation of my personality, it’s the German metal band Gamma Ray. I’m speaking in real abstract terms here, like when people say equate an emotion to a color. When I hear Gamma Ray, I feel as if my “soul” as it were, has been scored. This particular song does connect lyrically, because it’s about always being broke and always imagining that money will solve all my problems while, at the same time, understanding that it’s not really true, and it connects tonally because its humorous in a world-weary way. Gamma Ray’s songs all sound vaguely like German beer-drinking anthems, and it doesn’t hurt that lead singer, guitarist, and mastermind Kai Hansen is built almost exactly like me. Imagine my head on his body and that’s what I’d look like up there. So I couldn’t answer your specific question, but I can reinvent it! What I actually imagined is your head with his hair and the results were awesome! “German beer-drinking anthem” describes this perfectly. I actually kind of liked it – I like metal when there’s actual singing (rather than just screaming) involved. There are quite a few good, melodic metal singers in Germany and Sweden especially, and I mean far better than Kai Hansen here in Gamma Ray. In fact, Gamma Ray used to have one of the best singers in the genre, Ralf Scheepers, but he went off to do his own thing many years ago. I wasn’t familiar with Ian Hunter or Rory Gallagher. I listened to both songs – cool stuff! The Gallagher track was pretty edgy in its own right, and it’s always neat to learn about the lesser-known musicians who inspired those who are more commonly thought to be the best. Props to you, Roy, for not feeling obligated to pick from the “approved” list. I’ve gotten plenty of concerned looks over the years when naming favorite this or that musicians who usually aren’t household names. I’ve even been asked, “Are you sure? Do you want to pick again?” What, because I didn’t say Eddie Van Halen or Eric Clapton? I don’t recall telling anyone that I wait for the results of popularity contests before deciding what I like. Both you and Roy are your own men! My soundtrack is ever changing, Janna. My teenage years were filled with America and Gordon Lightfoot. Then along came The Who and Fleetwood Mac. As I got older I loved Greenday, Smashing Pumpkins, REM, Seal and Sade. Now in the ‘graying’ years I listen to Ozark Mountain Devils, Alownation and David Gray (I’m sure he writes for me) 😉 There are just SO many bands and songs I love that I could go on for pages. Great list, Dianne! You’ve got some artists in there that I like a lot: Gordon Lightfoot (Canadian! ), Fleetwood Mac, and Seal. You’re right, there are so many great musical acts. I too listen to music every day and feel it improves the quality of my life. “In the End” has been the song I’ve cried to, worked out to and listened when I didn’t know what else to do. It’s almost always on one of my play lists somewhere. I don’t know much of the rest of their music but that song is part of the play list of my life. I find that I listen to artists and music in stages. I keep coming back to Within Temptation, the European metal band and modern celtic music over and over again, but there are long periods where I don’t listen to either one. Actually, if I wrote a biography, I’d probably label chapters with music artists or albums, the ones I had one repeat for that time of my life. There’s not one artist that has the sound track of my life, but there are groups of artists that when their music plays, brings back the taste of South Korea, or the smell of my freshman dormitory, or the hard burn of the elliptical machine at the YMCA. I first learned the lyrics to American pie in Sichuan China and it will forever be that that song that made me stand in two countries at once and laugh at the sure absurdity and awesomeness of my life. Sometimes, an emotion becomes so tied into a song it seems I’ve locked it inside those words and notes and I’m scared to listen to it again, sometimes for years, but the memory is so fresh and real when I do go back. What a great idea, labeling the chapters of an autobiography with artists or albums. I would probably use song titles or excerpts for mine, especially since I’m the type of person to spontaneously start singing anytime someone speaks a word or phrase that appears in a song. In the past, I too have had songs or albums I couldn’t listen to for years because the associated memories were too painful. I didn’t listen to the album 18 by Moby for some five years or Karma by Delerium for at least 10. 18 is now one of my all-time favourite albums. It still conjures the memories, but thankfully they no longer hurt me like they once did.